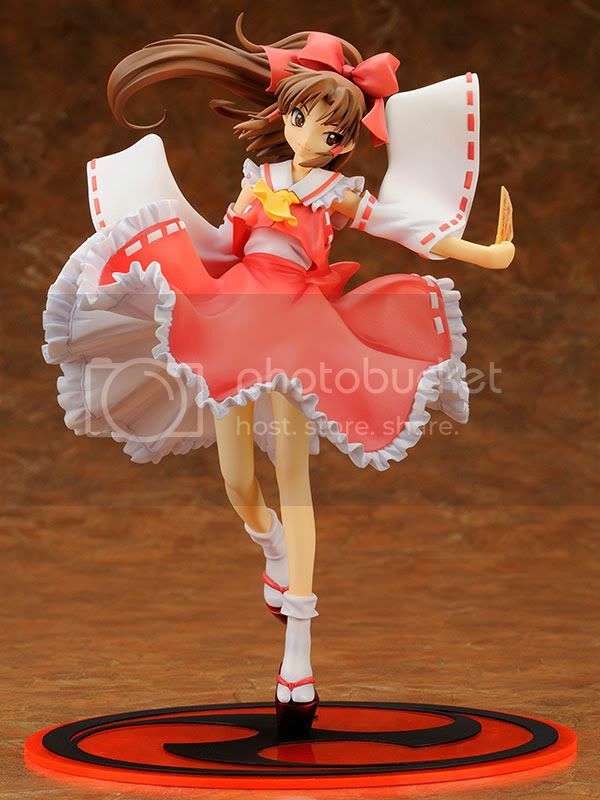 Multiseven et Cetera: Preview: Kotobukiya's 1/8 Reimu Hakurei Nemu Matsukura ver. 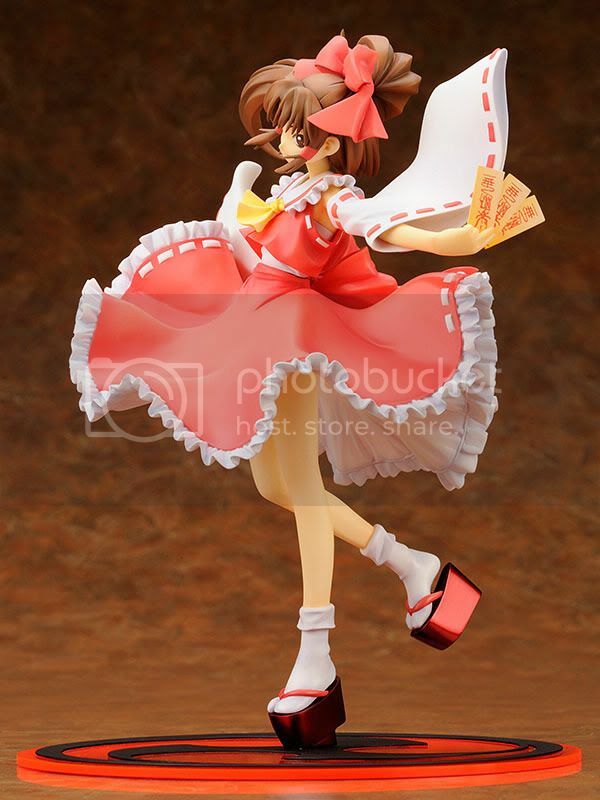 Preview: Kotobukiya's 1/8 Reimu Hakurei Nemu Matsukura ver. 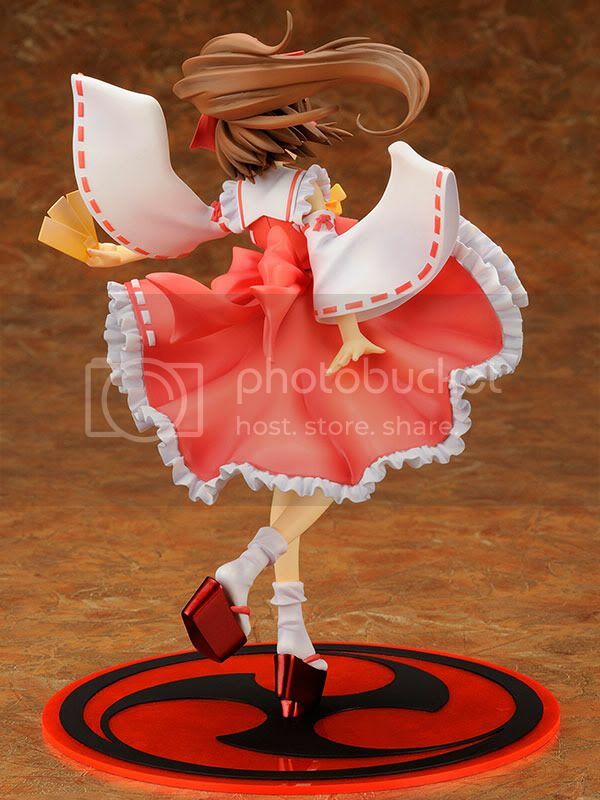 Kotobukiya is going to release the Reimu Hakurei Nemu Matsukura version 1/8 PVC figure from the doujin danmaku shooting game series Touhou Project published by Team Shanghai Alice. 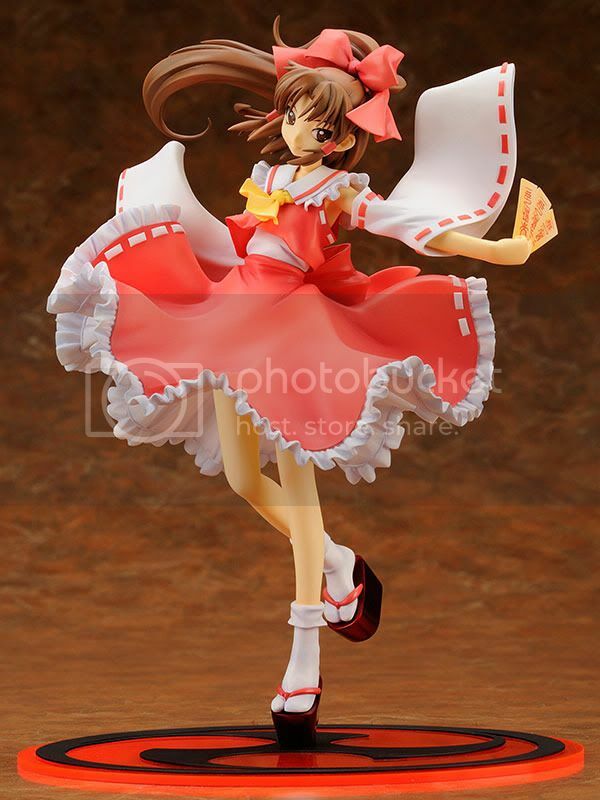 This figure is approximately 200mm in height and will be released in May 2011 with price around 7,185 yen. 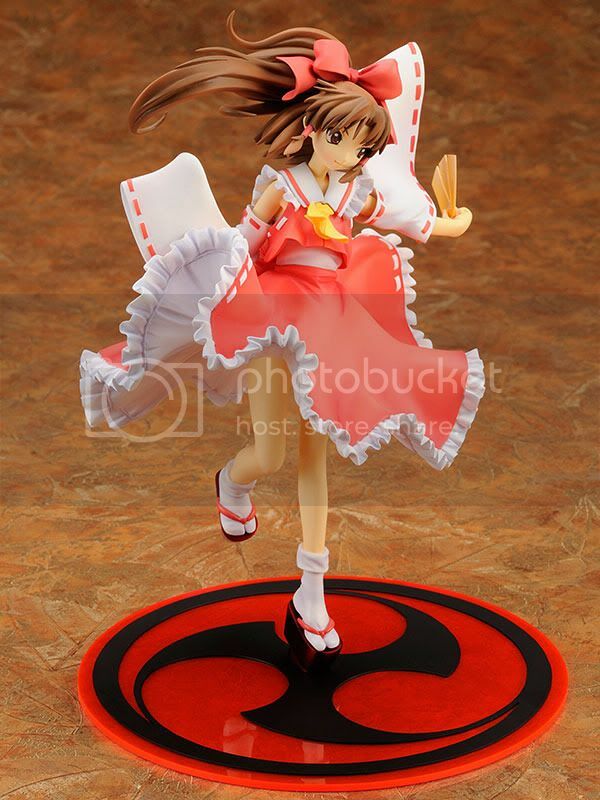 After Marissa, Kotobukiya has entered the Touhou world once again and brought this cute Reimu into a figure!! This figure is basically a garage kit master piece that was elected to Wonder Show Case, and Kotobukiya turned it out as a complete PVC figure! Preview: Gift's 1/4 Tamaki Kosaka Swimsuit ver. 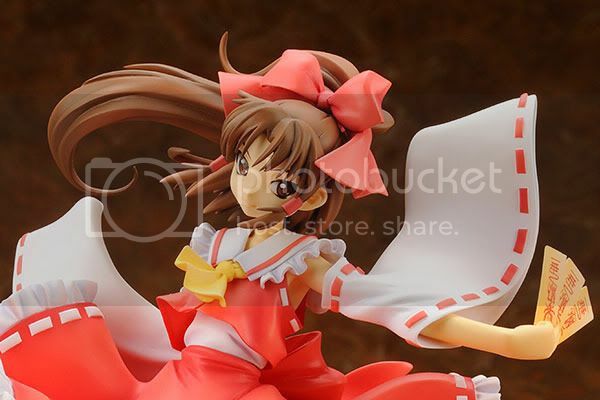 Preview: Nendoroid Kyon Disappearance ver. Preview: Figma Michael Jackson Thriller ver. Preview: New Line's 1/5.5 GK Revy Double Gun ver. Preview: Figma Caro Ru Lushe: Barrier Jacket ver. Preview: Deformaster Petit PreCure All Stars Ver.